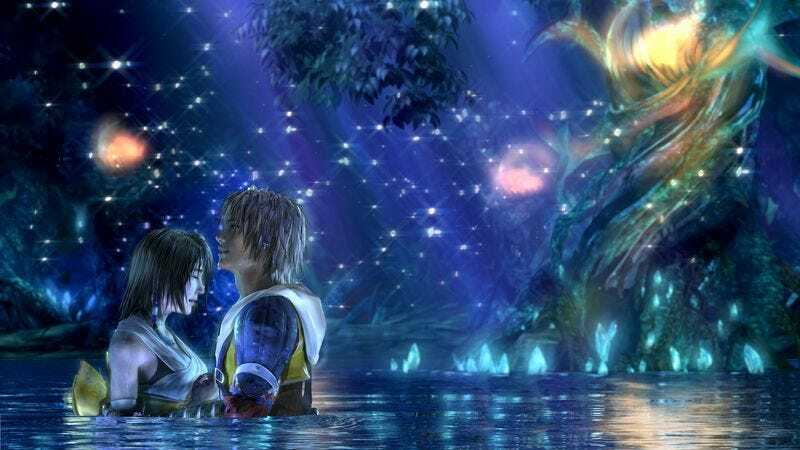 Although the Final Fantasy role-playing games are mostly taken up with fighting monsters and saving the world, the writers often find room for a squishy romantic subplot that takes the edge off the fighting. And as the series has evolved beyond the standard knights-and-goblins trappings of its early years, its depictions of love have likewise grown more creative. We may not live in a land of mythical demigods and skittish cactus people as the Final Fantasy characters do, but their amorous exploits still offer practical tips for anyone who needs a can’t-miss date idea for Valentine’s Day this weekend.